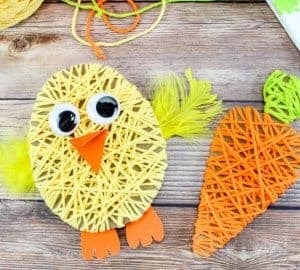 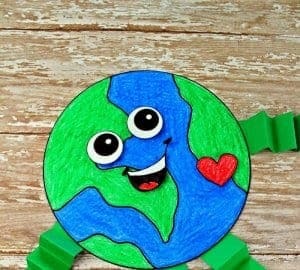 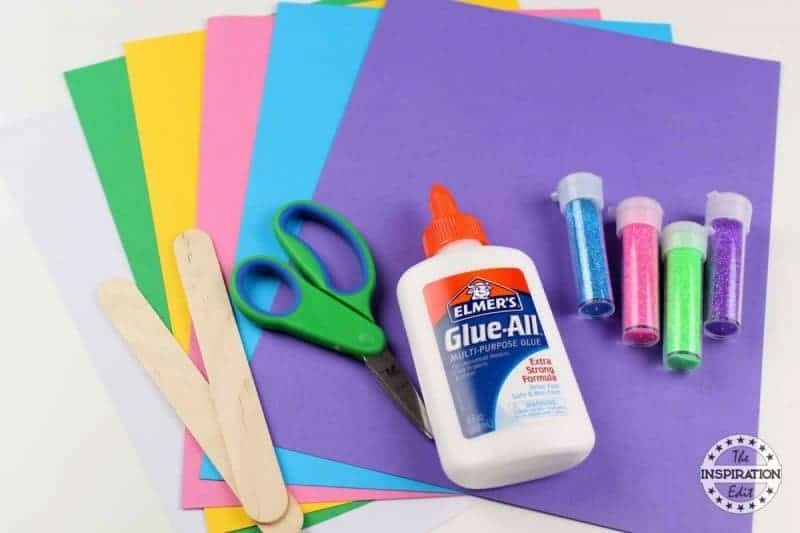 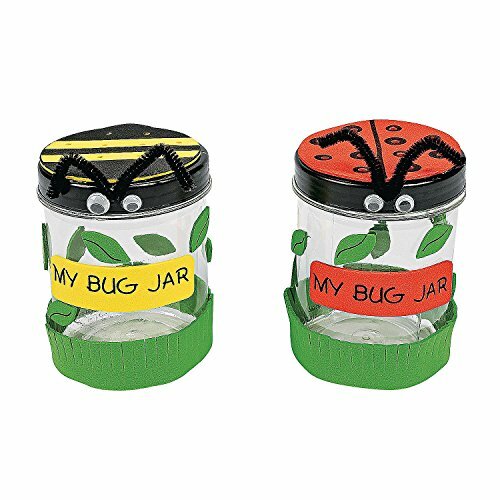 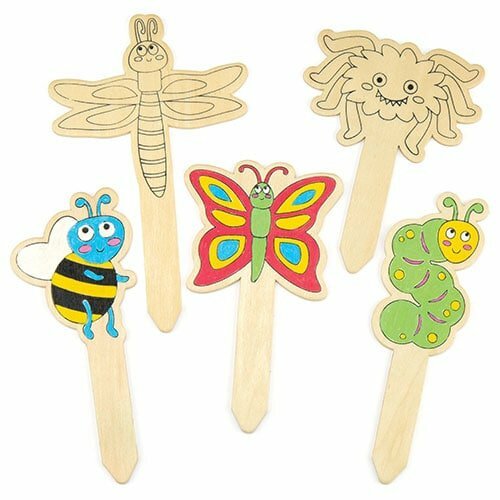 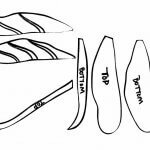 Kids crafts can be so much fun both at home and in the preschool setting. 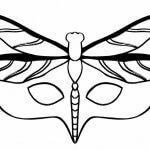 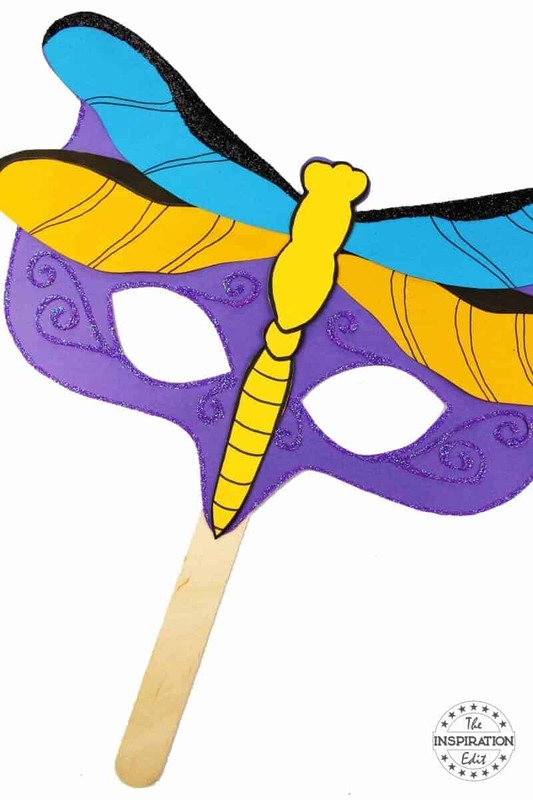 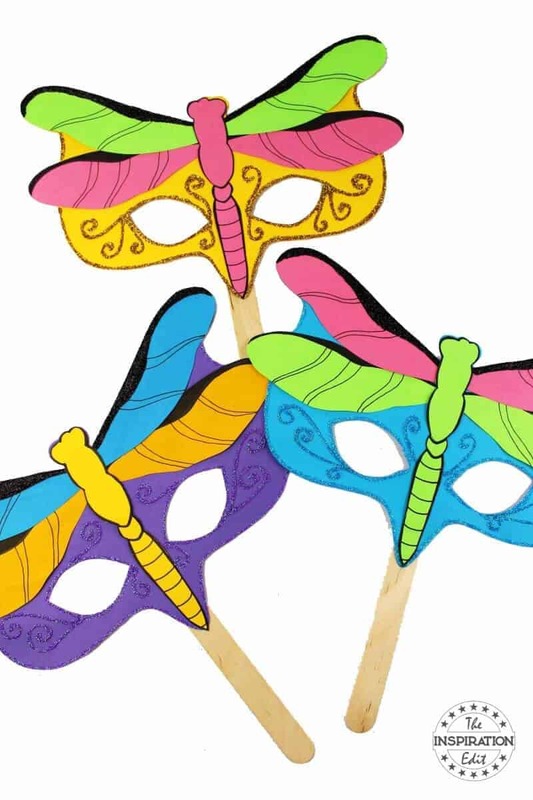 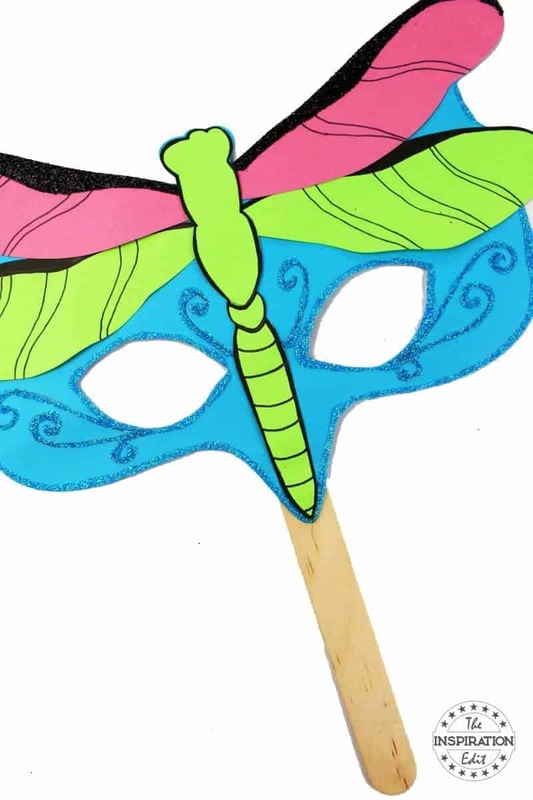 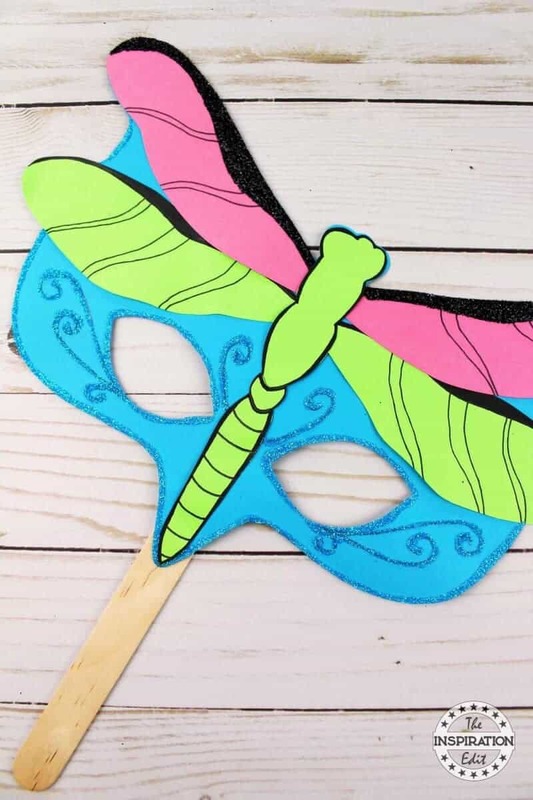 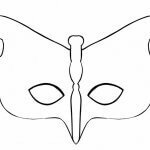 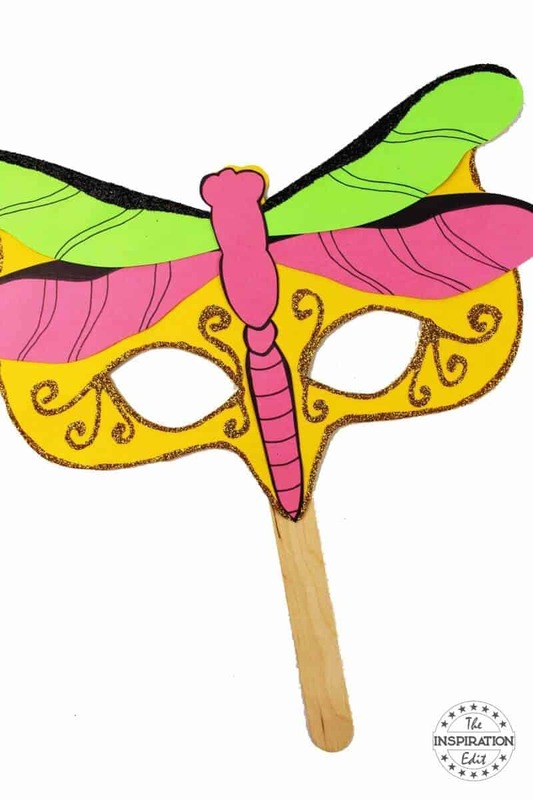 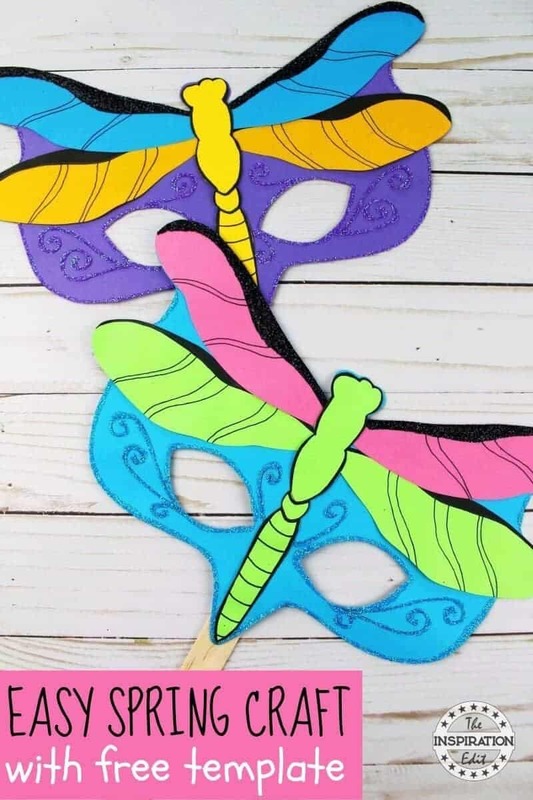 Today we have a simple and easy dragonfly mask craft for kids. 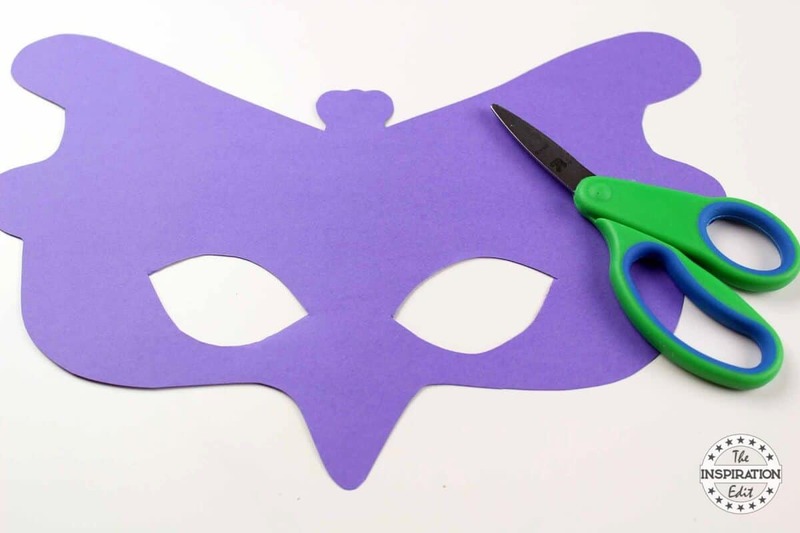 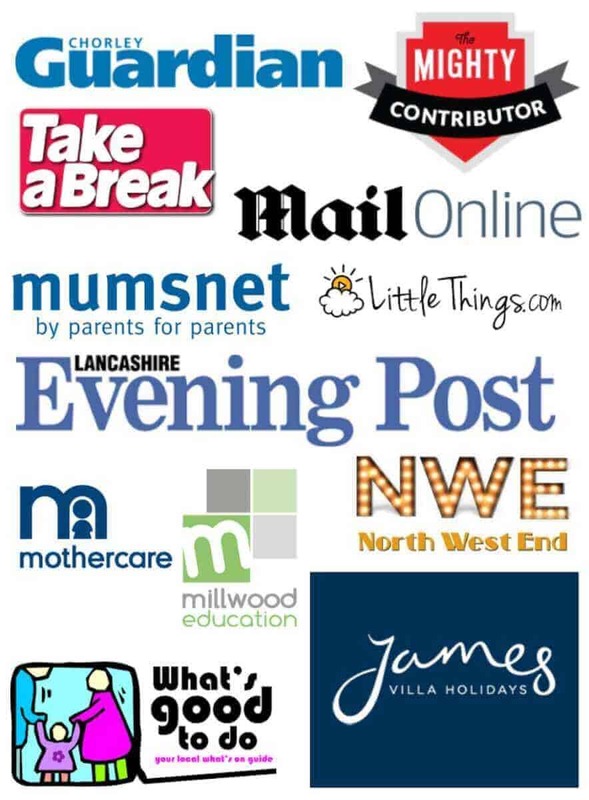 This only a few craft supplies you can make some fantastic kids masks in really easily. 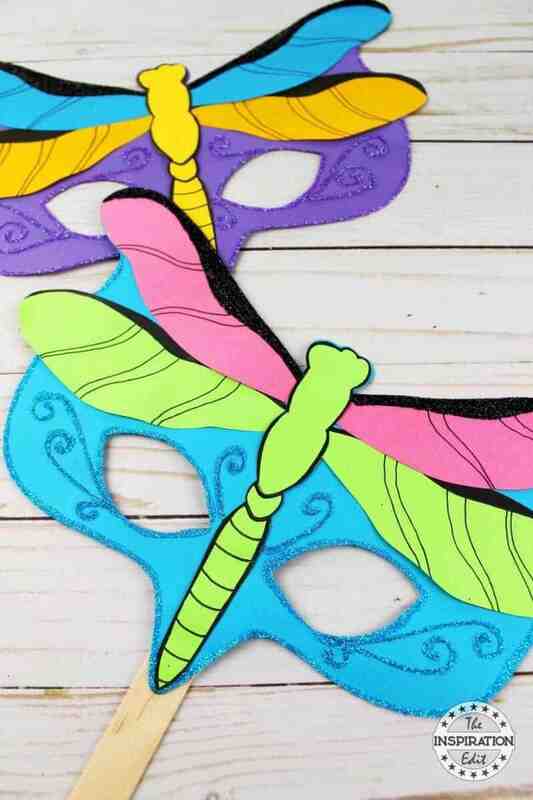 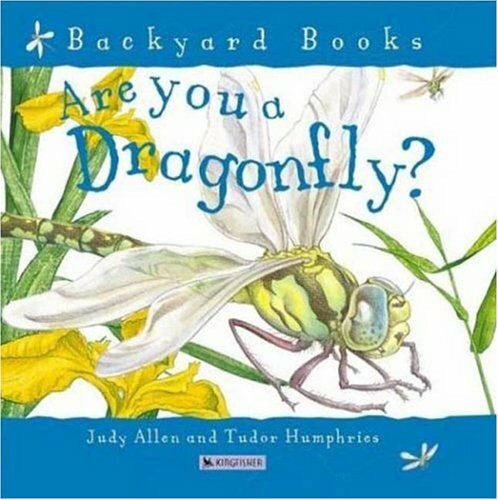 We also have tutorials for butterfly masks and Chinese dragon masks. 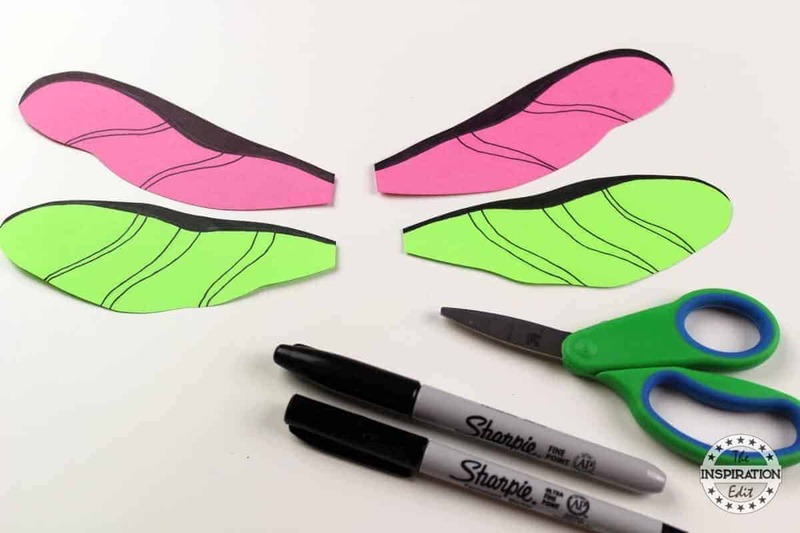 Colour the top of the of each wing with black marker. 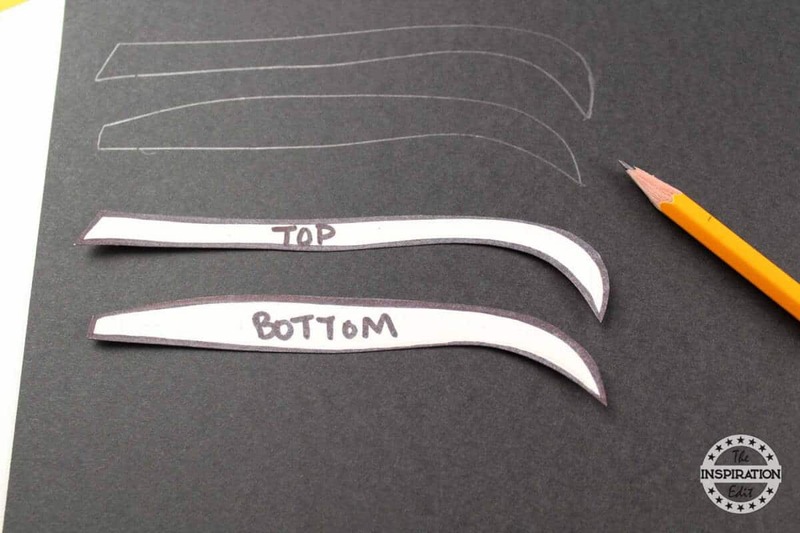 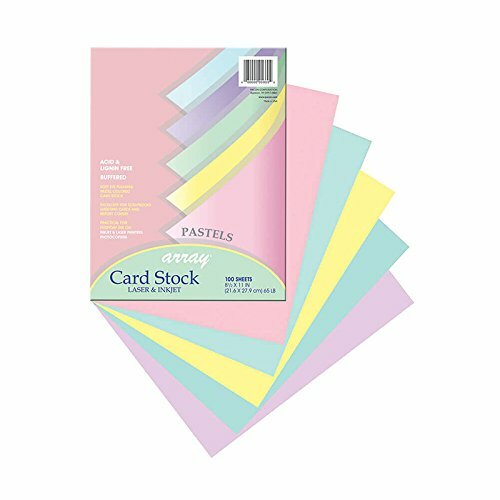 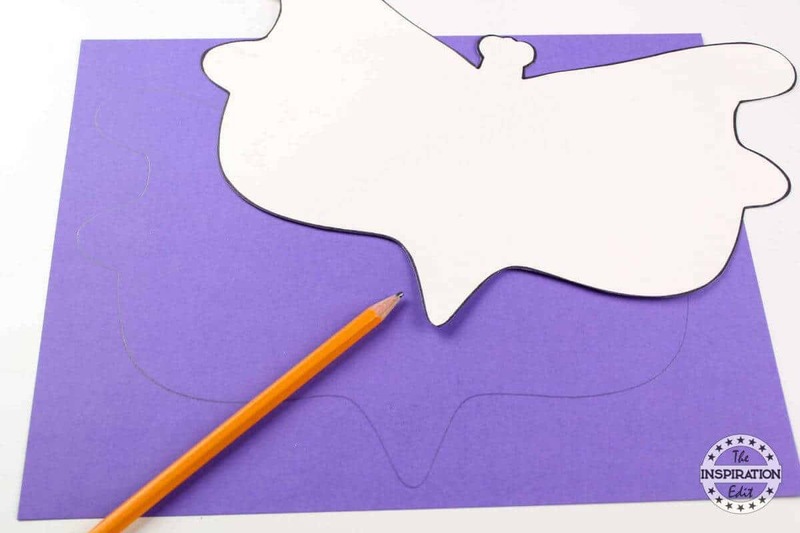 You can also use the template and cut out black cardstock. 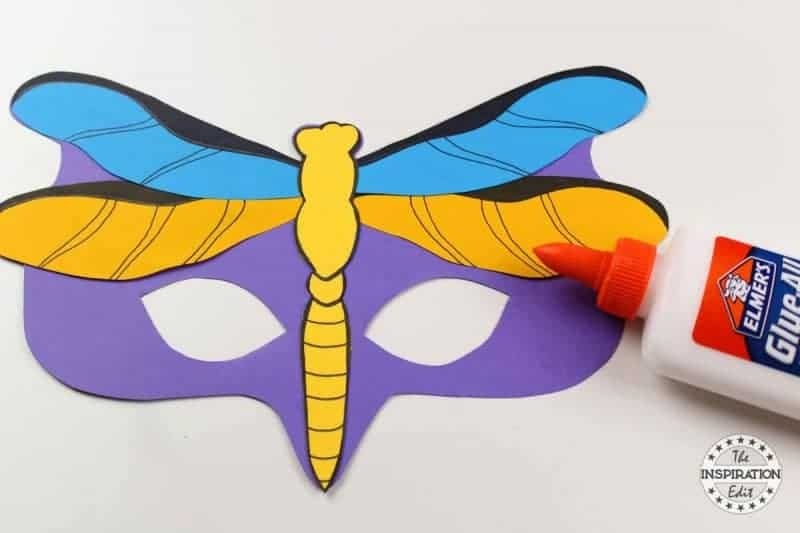 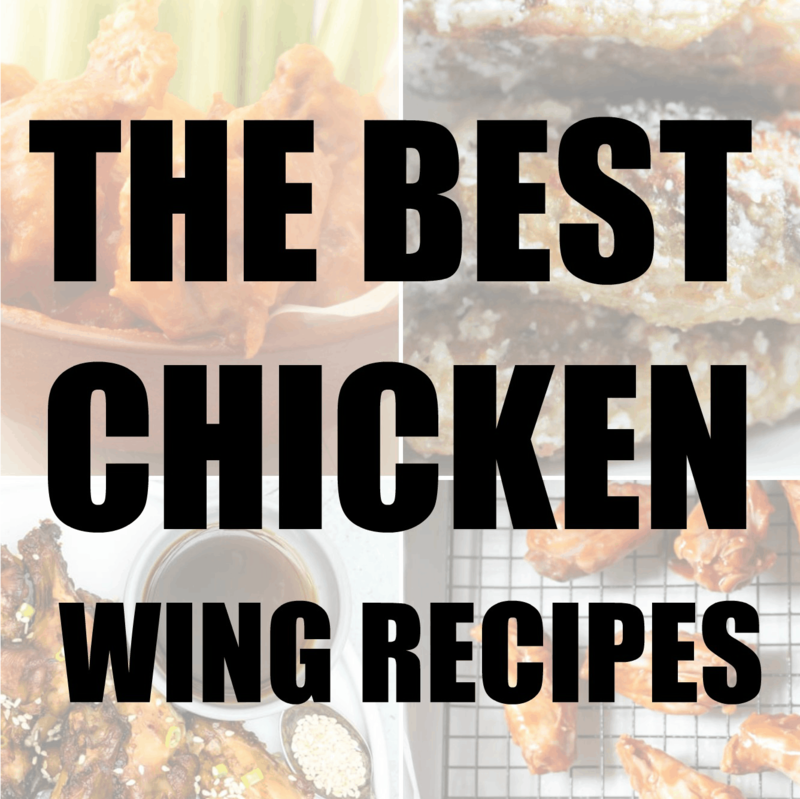 Use a black marker to draw details onto the wings. 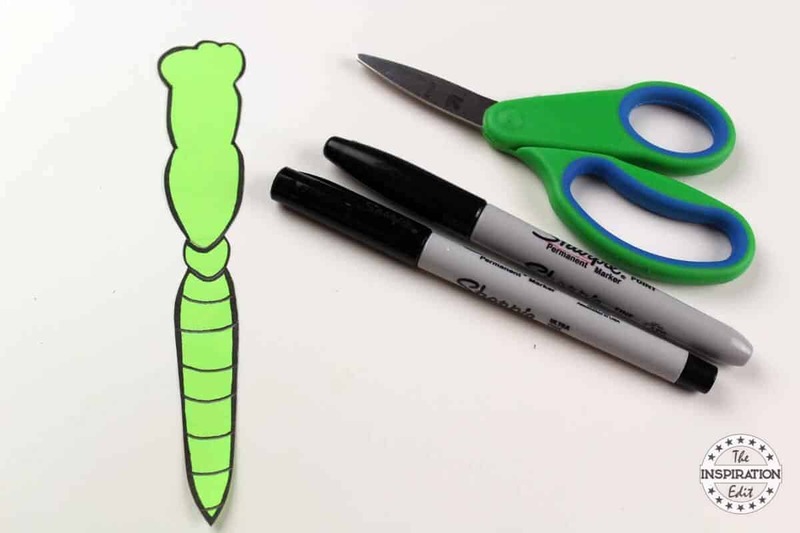 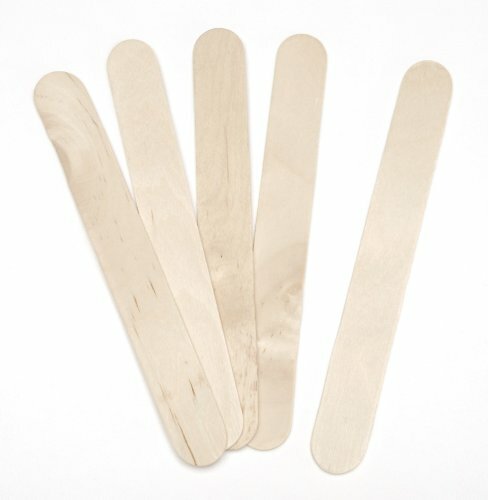 (refer to the photos) Use a black marker to trace the body and add detail. Cut eye holes into the mask. Glue down the bottom wings first followed by the top wings. 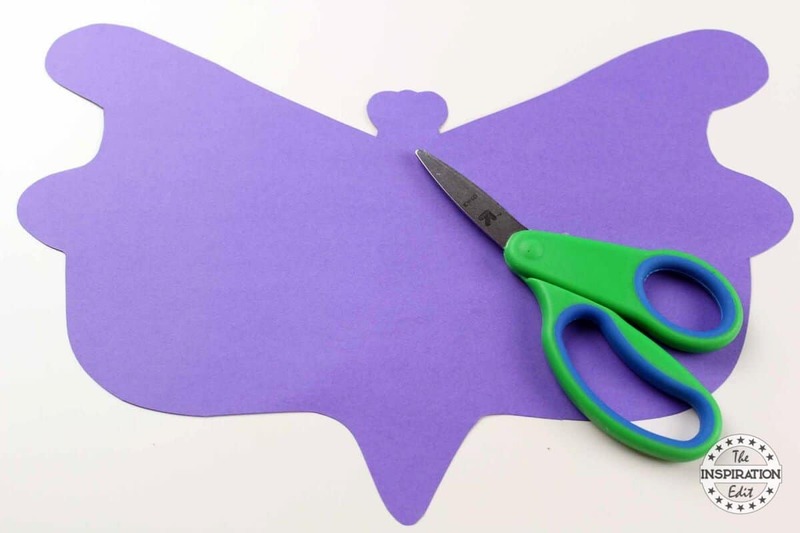 Glue the body on top of the wings, down the center. 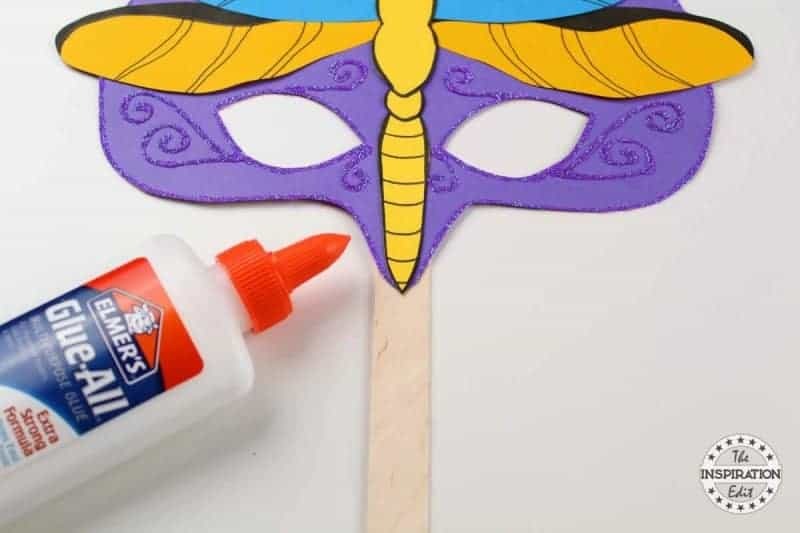 Draw designs with glue on the mask and then cover with glitter. 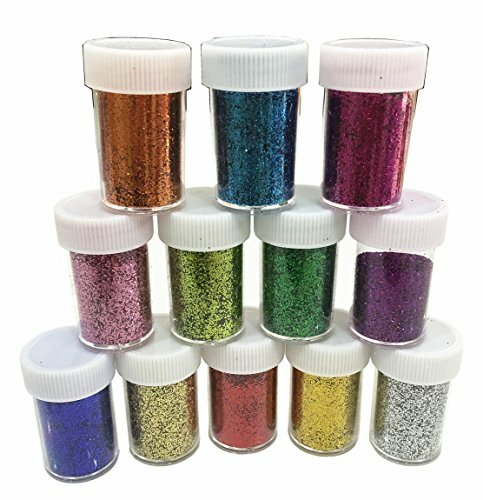 Allow the glue to dry and then shake off any excess glitter. 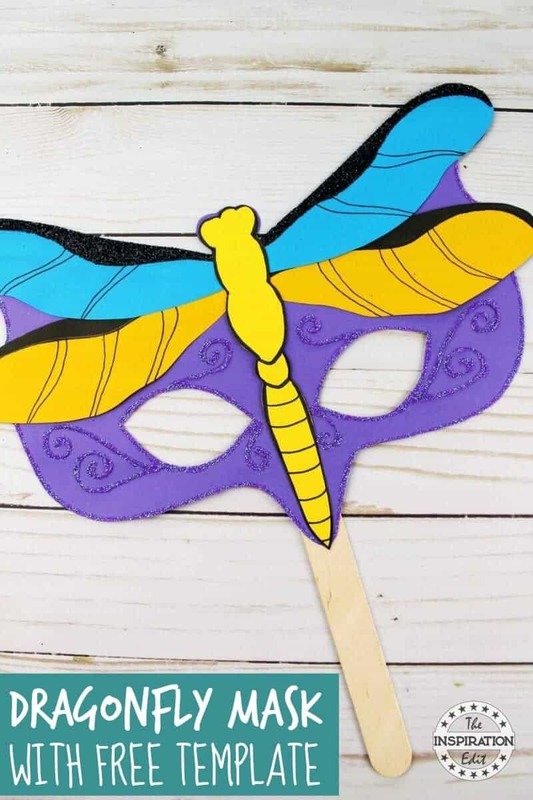 Your dragonfly mask is finished! 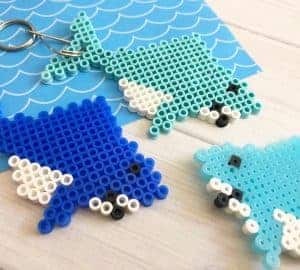 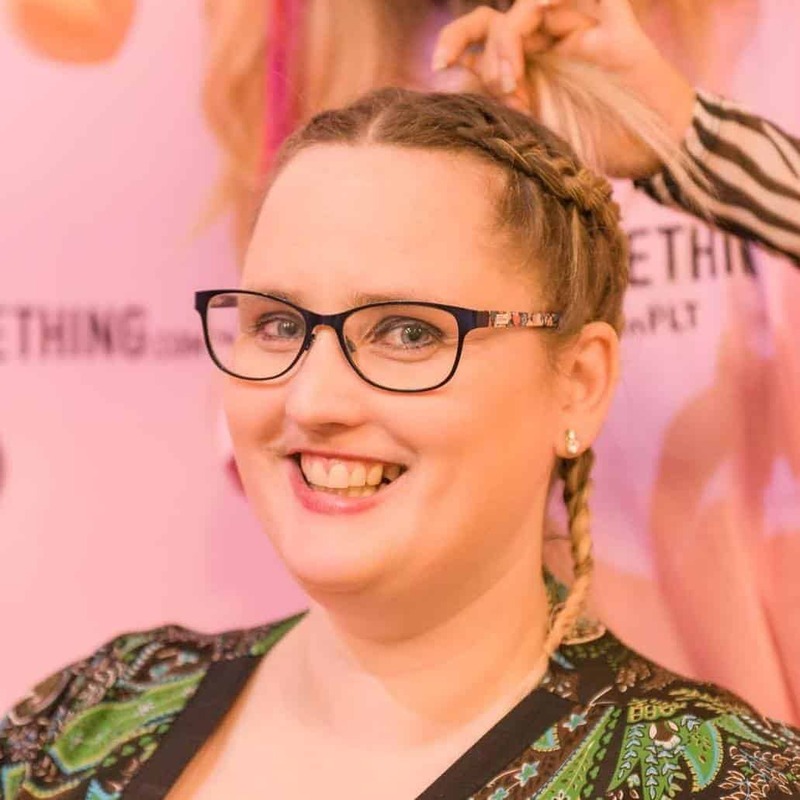 Why not try making some different styles.